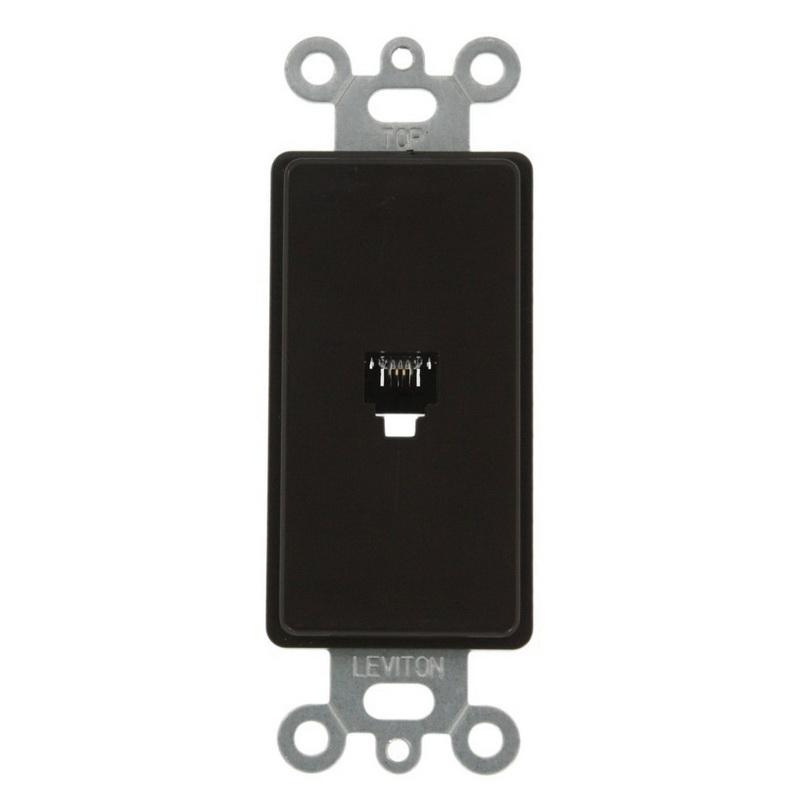 Leviton Decora® 6P4C Telephone/video insert in brown color, features lead-frame design for improved reliability and simple installation. It has durable high-impact plastic construction. It accommodates modular jack. It supports Decora® insert flush mounting and allows screw termination. It is compatible with Decora® wallplates and Decora® Plus screwless wallplates. Telephone/video insert is UL/cULus listed and CSA certified.